Pigeons Attack is a top-down shooter with combat elements whose goal is to survive to pigeons hordes for as long as possible. Explore different paths of the level to get upgrades and new weapons. Colect coins to unlock new characters and levels. Help to fight this invasion! Many pigeons addicted to popcorn are going to chase you down, each one with a particular behavior! Of course, we wouldn’t leave you in the lurch. 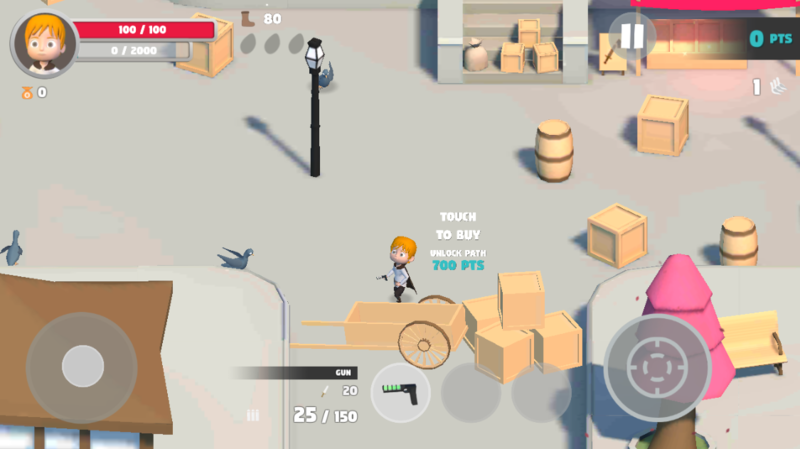 Shoot, explode and fight back with different weapons! Unlock other areas of the level and find new weapons and upgrades to help you in the combat! Ok, the world is being dominated by pigeons, why not make fun of this situation?